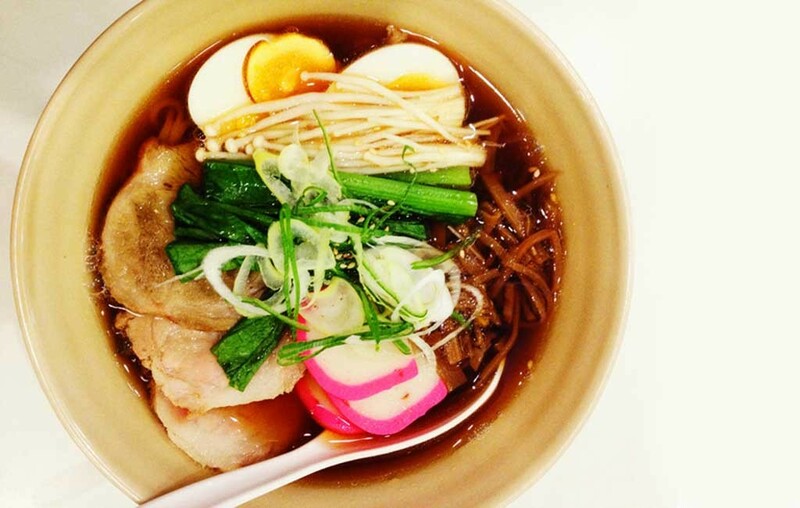 A new ramen joint is set to open in May. Burlington will soon have its own ramen joint. Gaku Ramen is on track to open mid-May in the former Mr. Crepe location on the Church Street Marketplace (144 Church St.). Opening the restaurant is Las Vegas-based Trust3 Hospitality, known for managing such restaurants as Hell’s Kitchen and Jbird Cocktails in New York, and multi-location Dinner in the Sky, at which guests dine at a table suspended 180 feet in the air. Gaku Ramen will offer seven types of ramen bowls, including a vegetarian option, for $8 to $10. The menu will also have about 10 appetizers including pork buns and cucumber salad. Booze-wise, the restaurant will serve beer, wine and sake. There's another connection: One of the owners, David Stone, is from Vermont. But Trust3 Hospitality has its eyes on something bigger than Burlington. Jones says that if all goes well, college towns throughout the Northeast may find a ramen joint in their near future.